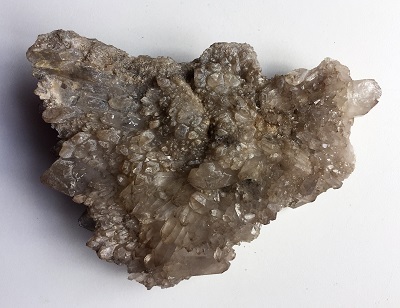 Beautiful Natural Smoky Quartz Plate crystal cluster from the Orange River area, Riemvasmaak, South Africa. 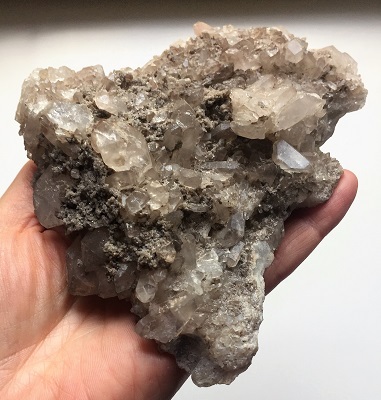 Pale grey colored smoky quartz crystals are on located on both sides of the matrix in this interesting cluster specimen. 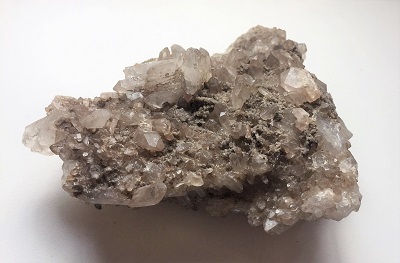 This smoky quartz cluster offers grounding energies and may enhance the feelings of harmony and facilitate group dynamics resulting in the connection and the balanced understanding of all represented points of view. Smoky Quartz Crystal Clusters offer protection and purification in environments while energetically supporting cooperation, friendship, and intimacy in relationships, in the family, and in other social and/or business environments. Plate crystal clusters support the acknowledgement of sudden changes and how impactful this “surprise” energy may feel. 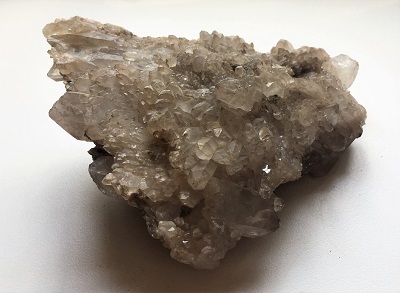 Smoky Quartz crystal is a superb antidote for stress as this crystal offers energetic support through difficult times and potentially challenging situations. Smoky Quartz aids with communication and supports clear thinking by purging the atmosphere of unspoken resentments or suppressed conflicts. Smoky Quartz is an excellent stone for manifestation and helps to bring one’s dreams and inspired ideas into physical reality. This smoky quartz crystal plate cluster may serve as a reminder that there are a lot options available with different directions to point your intentions. You get to choose! Choose JOY! The matrix holding the smoky quartz crystals together gives one the understanding that your decisions control the trajectory of your life and influences the energy of the collective whole.